Liverpool Tree Services are reliable local Tree Surgeons that specialise in all forms of Tree Care services. Property owners in the Liverpool area have been able to count on us to handle all of their tree care needs professionally for years, So if you're in or near Liverpool our local Tree Care Specialists can and will assist you. We take tremendous pride in offering the highest quality tree services to all of our valued customers. We offer a very broad variety of tree services, and can fit in all of of our needs no matter the size, how large or small. Whether you are a business owner, a homeowner, or even a tenant with the owner’s permission we’re here to help you. What should you expect from Liverpool Tree Surgeons Services? 1. Our Promise. By using our Tree Service, we guarantee you that you'll receive the best services in the area. We’ll take a great deal of care of everything, from inspection, through the diagnosis stages and any removal of your trees. 2. Unique Approach. We are aware that each client is unique and will have a multitude of different needs and requirements. There is never a one-size-fits-all when it comes to our affordable tree services. Our aim will be to meet your individual needs, and we will do whatever is needed to get the job done, and ensure that you are totally satisfied. 3. 24 Hour Emergency Service. Tree care emergencies do unfortunately happen, and it’s usually because of related safety concerns. That is why we are very prompt in our emergency service response time. 4. Qualified Tree Surgeons. Our local tree professionals are very highly trained and qualified, and have been handling all tree care matters of for over ten years. 5. Satisfaction Guaranteed. Our tree experts won’t leave until the tree care project is completed to your full satisfaction. We guarantee all of our work and will provide a full refund if we don’t take care of your tree service needs properly. We’re that confident in our abilities. Commercial – We believe that the way your business looks on the outside is just as important to both your new, and your regular customers as what it looks like on the inside. We can keep your trees and shrubs not just healthy but fine-looking. Residential - Keeping your trees around your home well maintained and safe, as well as having a show garden that you’re proud of is just as important to us as it is to you. Tree Cutting Service - At Liverpool Tree Surgeons Services, we are well aware of how much of an impact trees can play in our environment. They not only enhance our luscious landscape but also improve our quality of life by improving the quality of the air in our environment. We also know though that while trees have so many advantages, sometimes they have to be removed unfortunately for a variety of reasons, such as safety threats, rotting, for appearance purposes, or simply because they are too large. We can handle your tree cutting and removal service needs safely, quickly and efficiently. Why Choose our Liverpool Tree Cutting Service? 1. Professional Service. Removing a tree is a job best left to professional Arborists because we have the equipment and the skill set needed to handle such a task. We’ll begin by cutting your tree down to a manageable size. One of our skilled Arborists in Liverpool will harness up and climb your tree using a series of ropes ensuring he’s safe at all times. He’ll then remove the branches, one at a time, starting from the top and working his way down systematically. Each branch will be lowered down to the ground safely and secured way. 2. Safe and Effective Tree Cutting Process. During this time we will take great care to ensure that all of your buildings and possessions are safe. The branches surrounding your property will be lowered one by one to the ground, and stored in a safe place a distance away from any harm. After this, the tree cutting crew will then remove the trunk, and safely lower it down to the ground. This will allow for a safe removal of the entire tree. Cranes are sometimes required to remove the tree properly and securely, which will be explained on inspection if necessary. 3. Industrial Wood Chipping Machine. After the entire tree has been removed, we’ll pass the branches through our wood chipper. The chips are either taken with us on our departure, or you can keep them to use as mulch (mixture leaves and bark when spread around or over a plant to enrich or insulate the soil). The choice is entirely up to you. We’ll also cut the tree sections into firewood, which again you may choose to keep or have us remove for you. If you need our tree services in the Liverpool area, then please give us a call today on 0151 380 0007 or if you need our other tree services or are just gathering information we’ll be happy to help with any and all of your tree care needs. Simply fill in the form on the right hand side for a ‘No Hassle Guaranteed’ FREE quote. We’ll be in touch shortly to discuss our quote for our tree cutting services. Tree Planting Service – For the planting of trees to be done correctly you should have a professional do it to make sure that it’s done right. Our tree surgeons at Liverpool Tree Services are highly trained and have all of the correct certification to handle all your tree care needs, including the planting of trees in the right location, the correct way to ensure that their growth is optimised and your property won’t be affected. 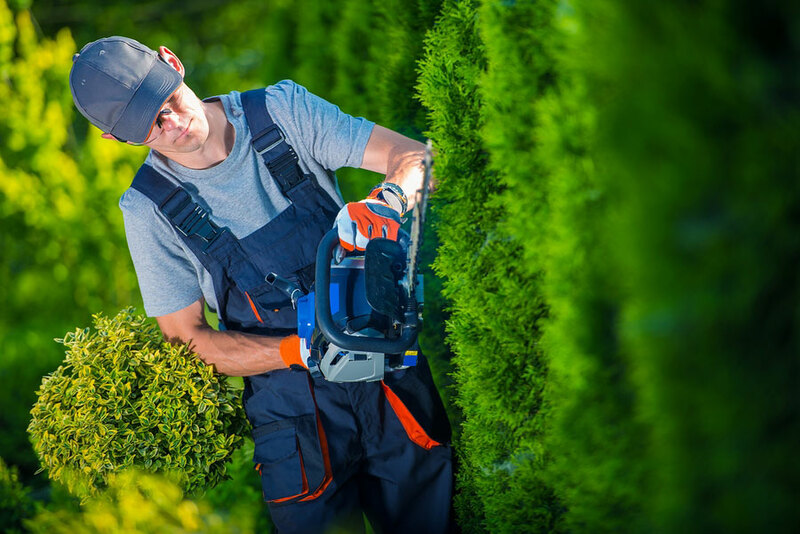 Tree Removal Service – Having a professional handle any tree cutting and removal that’s required is vital so that it is done safely and securely. We also have a list of recommended Roofers Liverpool that we have worked closely with, ensuring that roof repairs from falling trees that we have had to remove have been professionally done. Tree Trimming Service– Are your trees out of control? If so a trim from our professionals may be just the ticket. Tree trimming is very important, especially when a tree matures. If trimming is not done in the correct way, permanent damage can be done, not just to the appearance of your tree but to the actual tree itself. 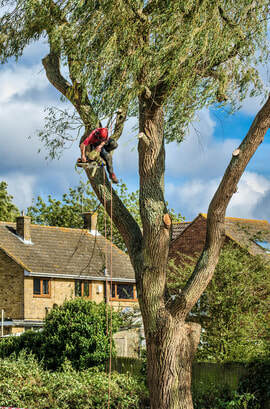 Our Tree Trimming Service is the leader in tree trimming and tree care services in the Merseyside area. We can handle your entire tree pruning and trimming needs; just give us a call today to get some more information. Why is it Important to Trim and Prune Trees? 1. Prevents Decay. When broken and dead branches are regularly removed, decay is prevented. A bit like brushing your teeth I suppose. 2. Lawn Health. When trees are trimmed properly, it allows light to penetrate through the surrounding trees and onto the lawn which is what your lawn needs to stay healthy. 3. Size. Trimming and Pruning reduces the overall size and tree overgrowth. Crown Reduction – The technique of Crown reduction removes part of the upper section of a tree. It is removed for a variety of reasons including protecting your property and any power lines nearby. Brush and Wood Chipping - If you have branches that need to be used as chips, then we provide the service that takes care of that for you. We can professionally handle all of your wood chipping needs, by putting your branches through our industrial wood chipper to create mulch, which can then be laid over the surface of your soil as a covering. It retains moisture in your soil, keeps weeds at bay, and makes the garden bed look more attractive. This type of organic mulch also helps improve the soil’s fertility. 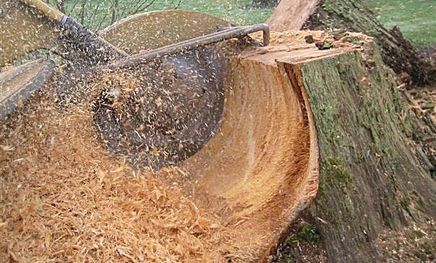 Stump Removal and Grinding - With our industrial stump grinder, we can grind away any stumps that you may want or, in fact, need off of your property. We will also fill the hole left with either some topsoil or grindings leftover from the stump. All part of the service provided with a smile. You often think, why use a Tree Surgeon in Liverpool? Whether you need our tree services now or are just gathering information, we are more than happy to assist you with all of your tree care needs. We are a recommended tree surgeon in Liverpool. Simply fill in the form on the right-hand side for a ‘No Hassle Guaranteed’ FREE quote. Or call us today on 0151 380 0007 if you prefer to discuss all of your tree cutting and tree care needs with a member of our team. ​We cover everywhere from the City Centre, through Aigburth (L17) Aintree (L9) Allerton (L18) Anfield (L4) Broad Green (L14) Calderstones (L18) Childwall (L16) Clubmoor (L13) Cressington (L19) Croxteth (L12) Dingle (L8) Edge Hill (L7) Everton (L4) Fairfield (L7) Fazakerly (L9) Fullwood Park (L17) Garston (L19) Gateacre (L25) Gillmoss (L11) Grassendale (L19) Hunts Cross (L25) Kirkdale (L4) Knotty Ash (L14) Moor Green (L2) Mossley Hill (L18) Netherley (L27) Norris Green (L11) Old Swan (L13) Olive Mount (L15) Orrell Park (L9) Otterspool (L17) Smithdown (L15) Speke (L25) St.Michaels Hamlet (L17) Stanley Park (L4) Toxteth (L8) Tuebrook (L6) Vauxhall (L3) Walton (L4) Wavertree (L15) West Derby (L12) Windsor (L8) Woolton (L25) and all other areas within Merseyside.